Is there a well known and proven algorithm to find the limit of a set of points, which are time based metrics? I'm looking for an existing implementation, in order not to try and invent something which already exists. 1. 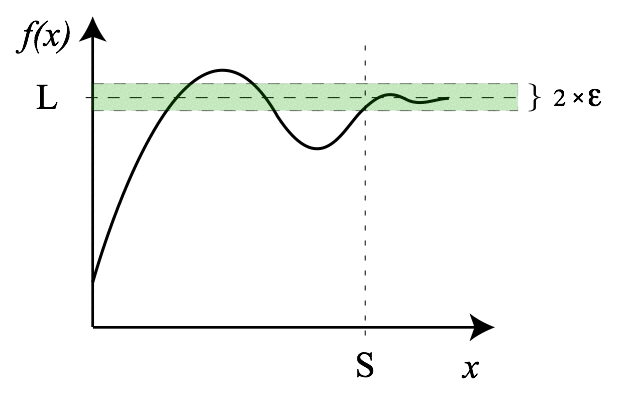 Calculate L which is the top limit, and E, where 2*E is the convergent stripe around L.
- Most points, P percentage, except of anomalies/noise, are below the top line of L+E. - P is configurable, ranging at 90-95-99% range. The algo uses a stored state of a previous maximum limit - max-L.
Is there any algorithm for comparing large numbers?